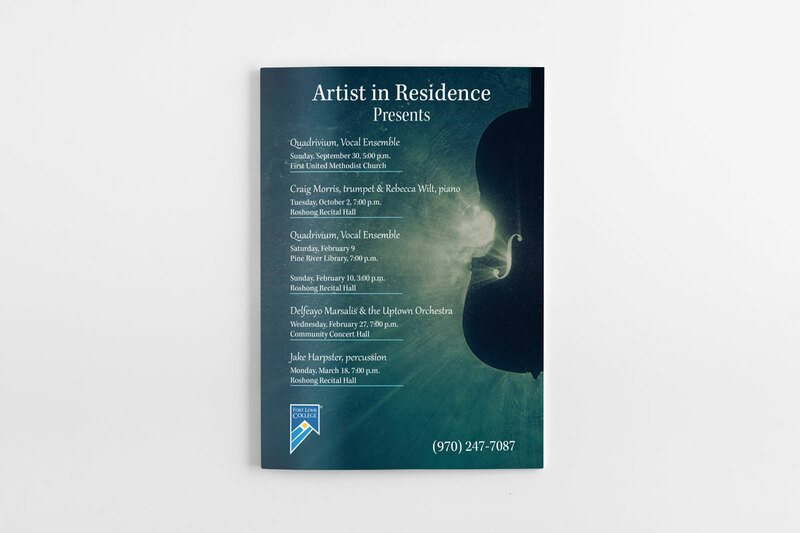 The AiR Program (Artist in Residence), needed a full page ad to promote their fall concerts. We re-designed this ad for a half page in the spring. The purpose of their ad, which was placed in the San Juan Symphony program, was to bring advertise their upcoming programs and to increase concert attendance of students and locals. Tasks: Program Ad, Full Page and Half Page.